Happy New Year! We can’t believe 2017 has come and gone already, but we’re starting the New Year off with a cozy living room re-do. This project was special for us since we were able to travel to our client in New Jersey and put together their perfect room in only a few days. Small spaces can often be challenging, but they provide a great opportunity to mix and match different patterns and textures. Some features of the project include Visual Comfort lighting, MT Company furniture, and a beautiful, fluffy area rug by Shaw Rugs. 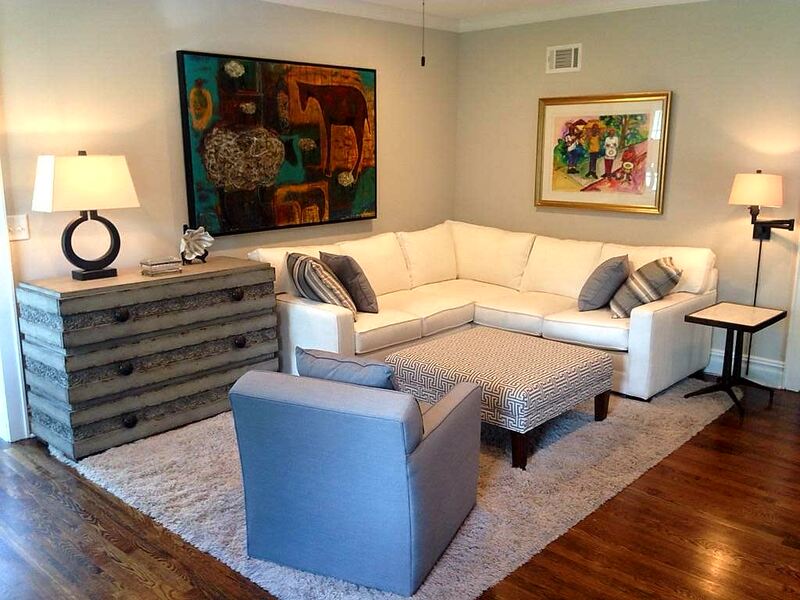 Our client wanted to incorporated some of their original art pieces, which add the perfect pop of color to this neutral decor.